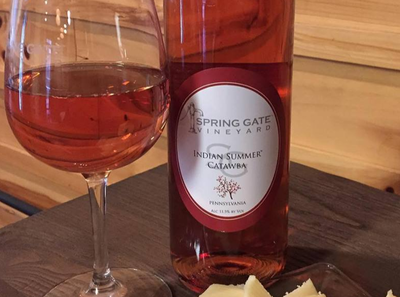 People love Rosé and Blush wines from delicate and dry to medium-bodied and sweet. Here at Spring Gate, we endeavor to please! 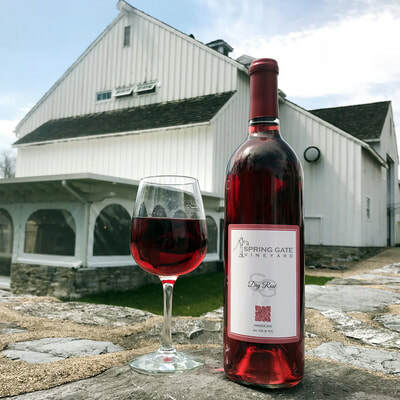 There are a number of methods to make these Rosé and Blush wines, from a dry saignee, which infers the bleeding of the grape without pressing it, to white wine with a blending in of some red wine - into sparkling or still. Crushing the grapes provides instant juice, a process independent of actually pressing the grapes. This saignee of the grapes is the base of a number of styles for winemaking, including the creation of Rosés. Our Dry Rosé is made primarily from Chambourcin and boasts a beautiful, vibrant color and aromas of crushed berries and ripe cherries. This is a great wine with salty snacks and lighter foods. This is our classic signee rosé. 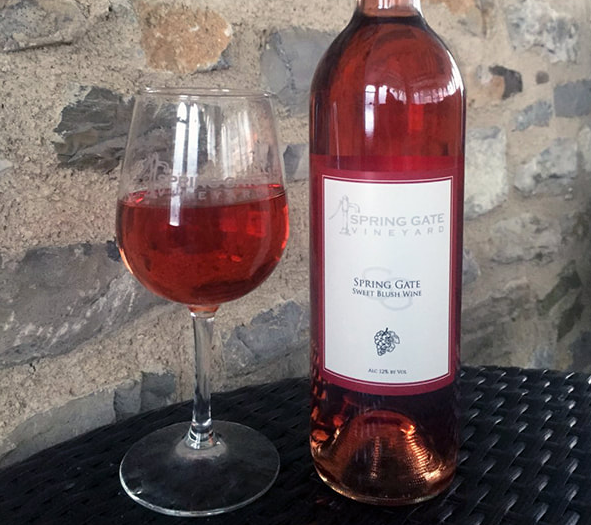 A beautiful light garnet, this dry rosé is light-bodied and refreshing with a candied strawberry finish.​ a bleed of cab sauv, cab franc and merlot. 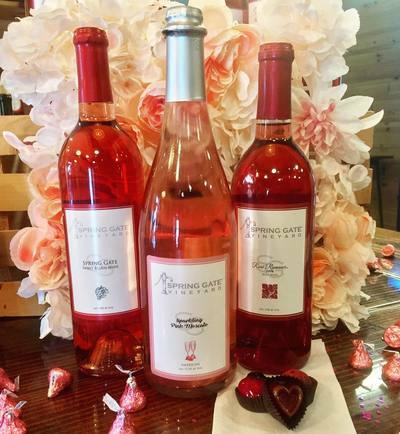 You can enjoy this rosé anytime. With pink sapphire hue, this blush wine coats the palate with its sweetness and ends with a light citrus finish. This Blush features notes of sweet peach and strawberry. This lively sparkling rosé wine kisses the palate with tropical notes and citrus zest. It is a great choice for any celebration. A rosé of "picked early" Pinot to get just the right level of acidity with a frizzante sparkling. 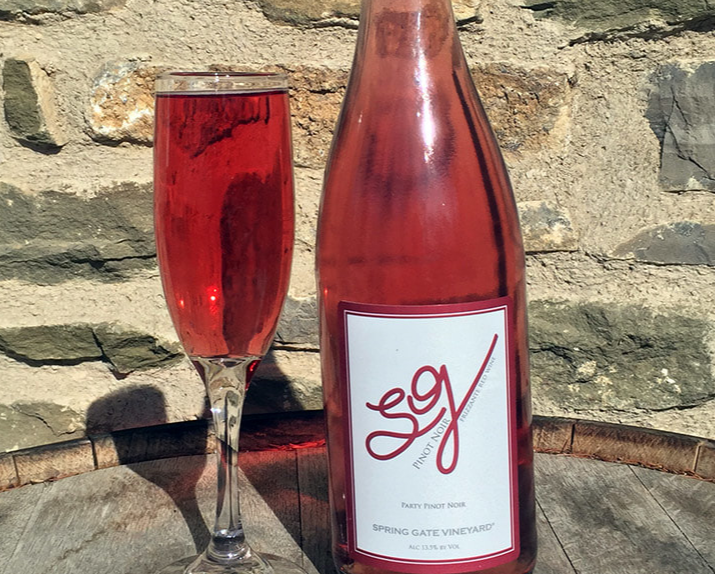 This bustling sparkling wine is refreshing and gentle with delectable aromas and pristine fruit characteristics. 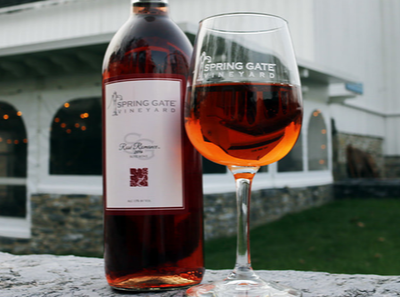 This Classic Rosé, a saignee of Cabernet Sauvignon and Cabernet Franc is our premier Rosé. This dry rosé is light-bodied and refreshing with a candied strawberry finish. 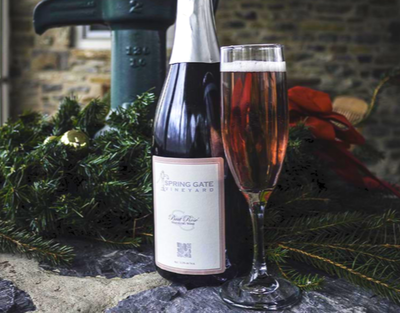 Our Brut Rosé is produced using the traditional Methode Champenoise from 100% Pinot Noir. It is crisp and dry with red fruit aromas. This is a perfect appetizer wine.